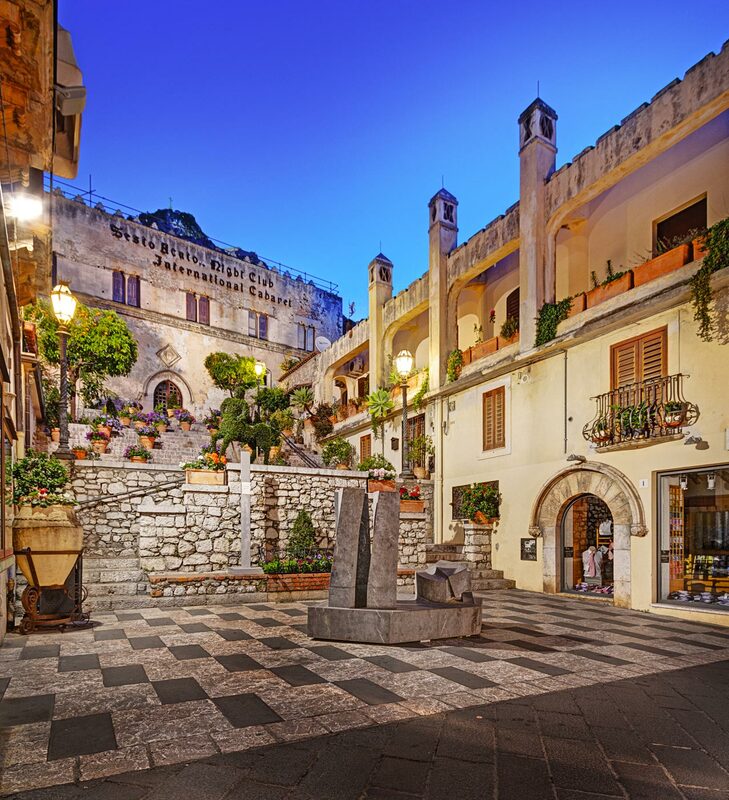 The historic village of Taormina has medieval origin and is famous not only for its monuments, including the structure of its streets and its old doors. 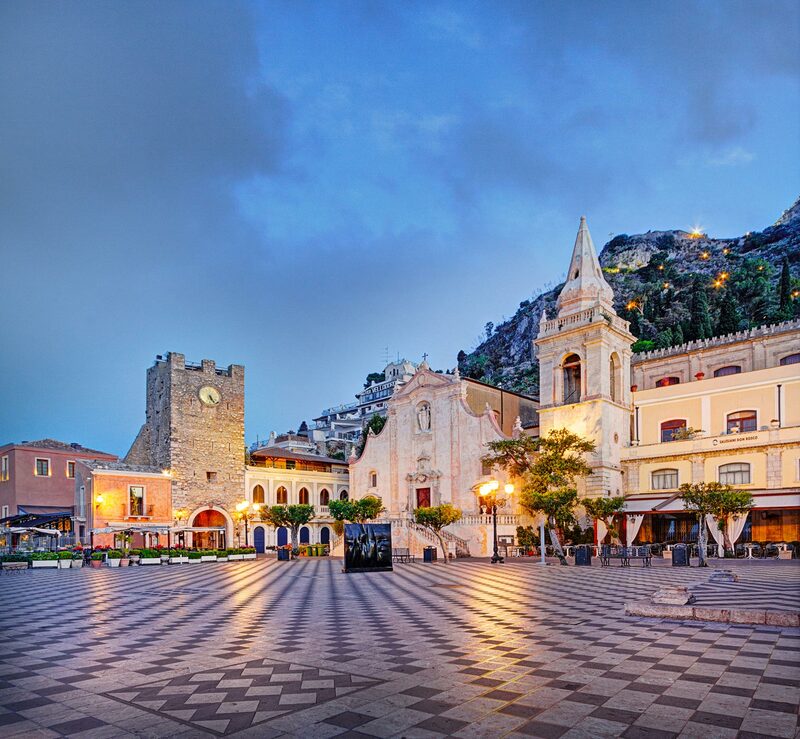 Taormina center is built around the Corso Umberto I, the main artery o f the city, from which you can reach all points of interest. 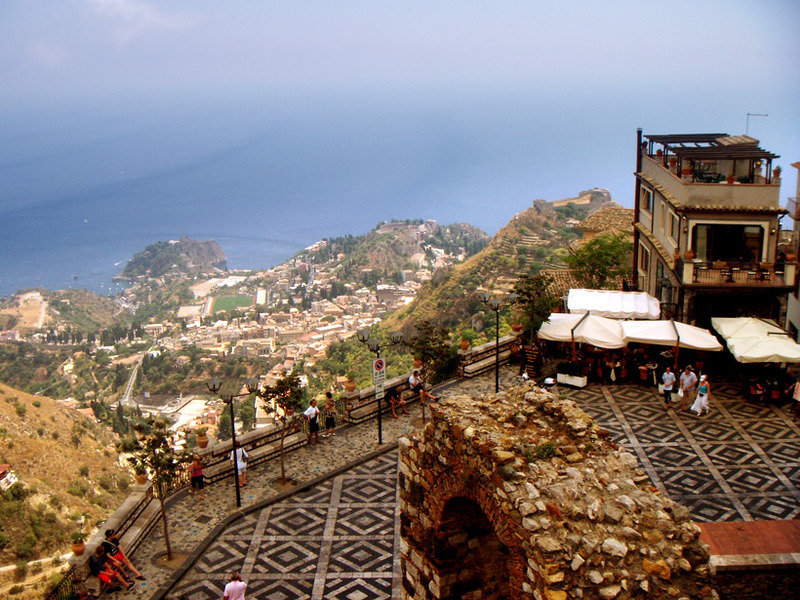 Today Taormina is a health and tourist resort of international renown. 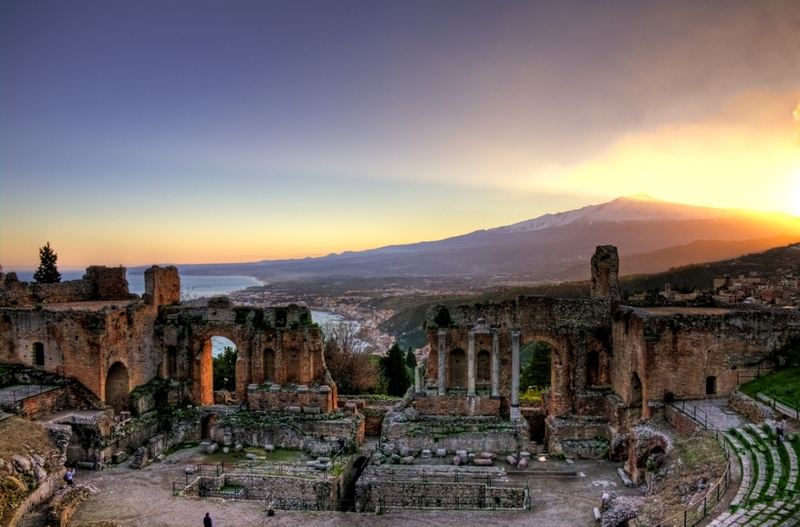 Over the centuries, Taormina has always been a major tourist destination for famous personalities like Wilhelm II of Germany, many writers like Goethe, Maupassant, DH Lawrence, A. France, Oscar Wilde, Brahms, designers like Dior, noblewomen as Florence Trevelyan, the German painter Geleng, the English General Nelson, directors like Michelangelo Antonioni and actress like Greta Garbo. 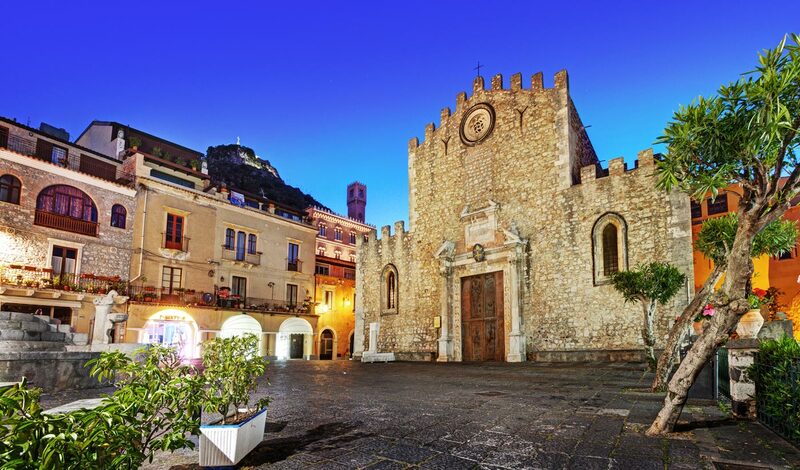 In addition to the delightful old town, we will visit the Church of San Pancrazio, built on the ruins of the Temple of Serapis that keeps inside interesting works of art, the famous Greek Theatre, a majestic building of Hellenistic period completely rebuilt by the Romans, the Duomo St. Nicholas and the remains of the Castle.After the tour of Taormina you will be lead to Castelmola for a visit in this beautiful village.Natural balcony above Taormina, the medieval village of Castelmola is the dizziness of vision come into view, in a blaze of figs of India, the majestic Etna with countries clinging to its slopes, the Ionian coast, the Gulf of Gardens -Naxos, the Head of S. Alessio, the Strait of Messina and the Calabrian coast. 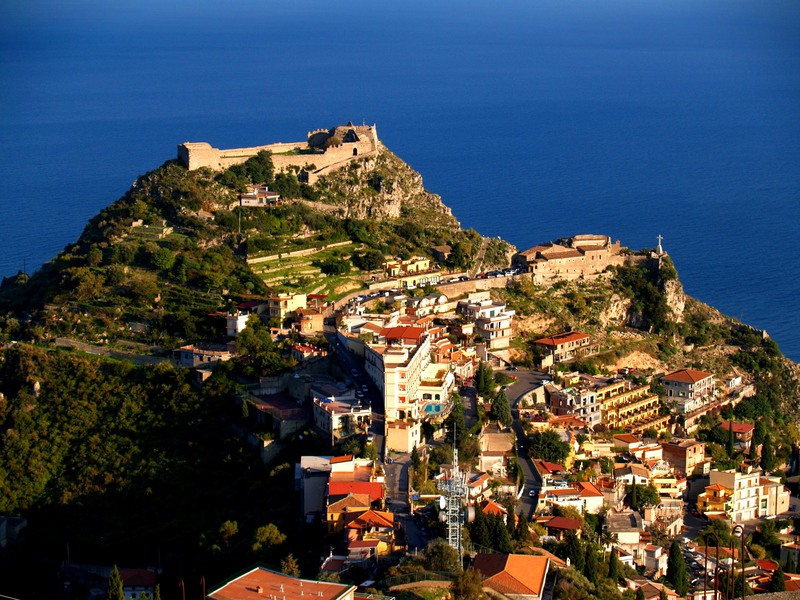 It offers breathtaking views and important traces of a past rich in art, history and traditions, which still do not fail to fascinate.